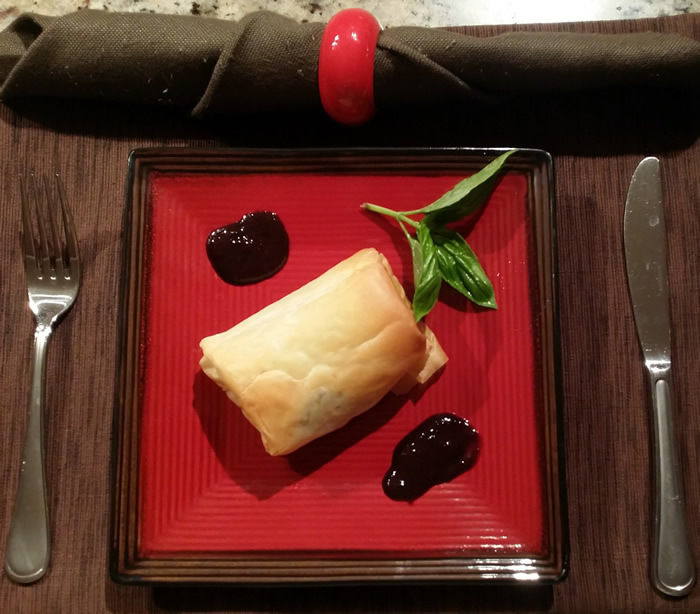 Filo pastry dishes are always a bit time-consuming, but worth it. 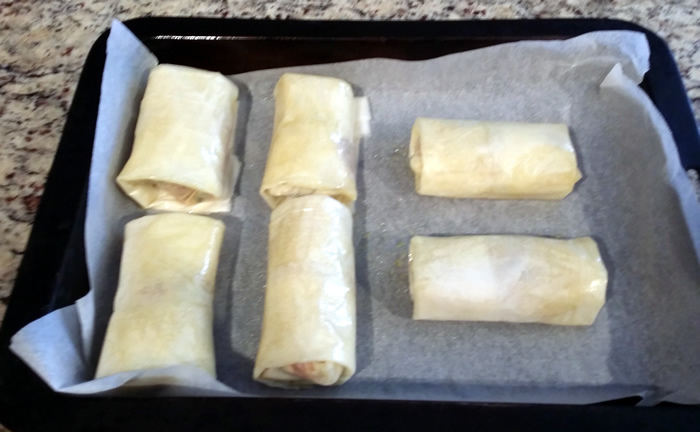 For a healthier and easier option, rather than brushing each sheet with melted butter, just spray with olive oil. 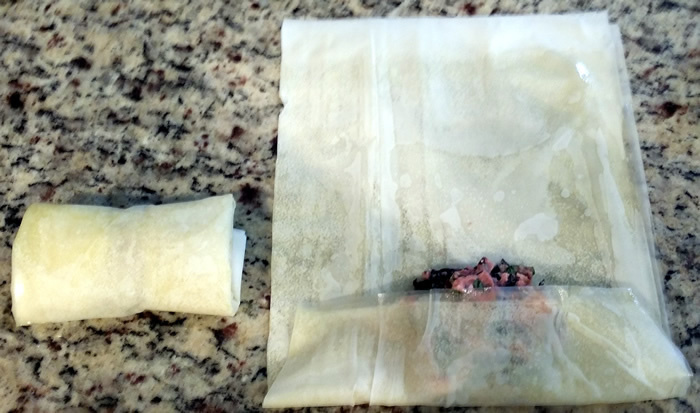 As long as you spray the parcels well with oil – they can be prepared in advance and covered with plastic wrap to prevent drying out. 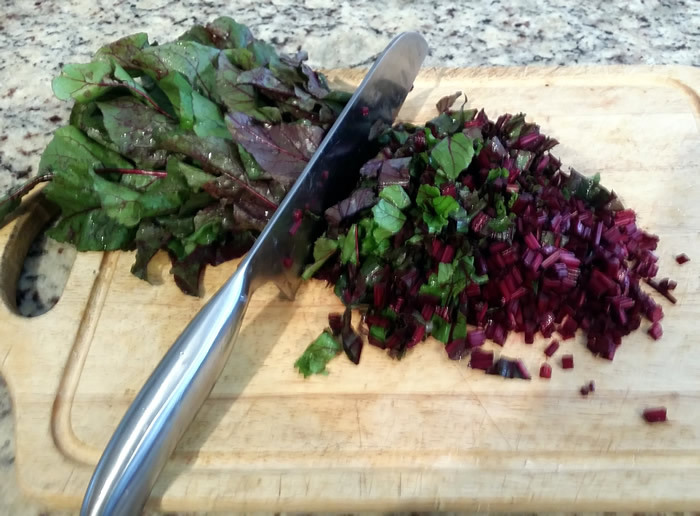 I used beetroot leaves as I had beetroot growing in my garden, but spinach or silverbeet will work just as well and if you prefer parsley or coriander rather than basil, simply substitute. 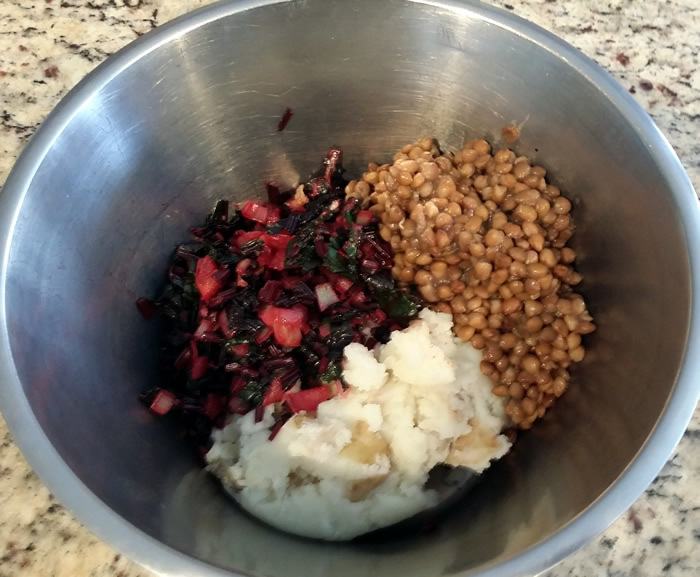 Cook your own lentils if you have the time – I took the quick option and opened a tin. 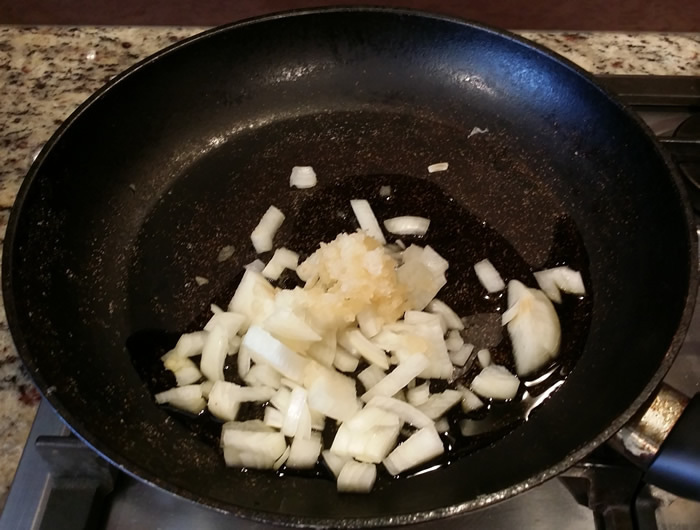 Heat the olive oil in a large frypan and gently fry the onion and garlic until just starting to brown. 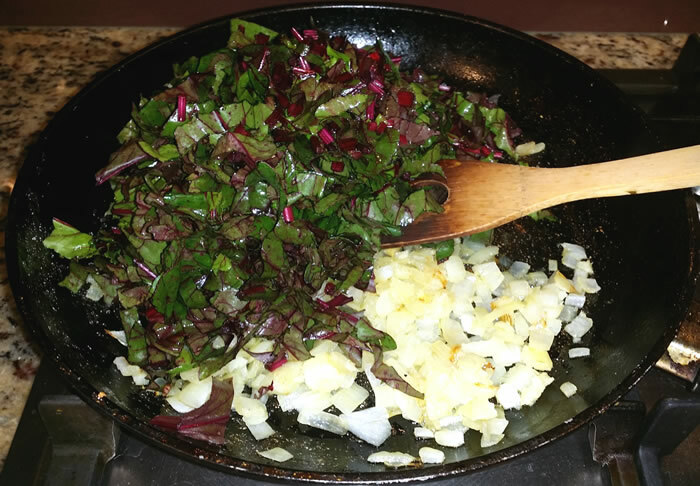 Add the chopped beetroot and basil leaves and gently fry for a couple of minutes. 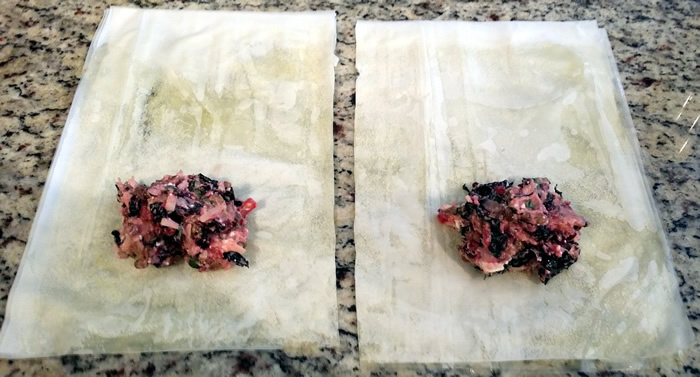 Lay a sheet of filo on a clean surface and spray liberally with olive oil spray and repeat four more times (5 sheets), then using kitchen scissors, cut in half. Divide mixture into 12 equal parts and spoon onto the prepared filo sheets. Roll up ensuring that all the mixture is well encased. 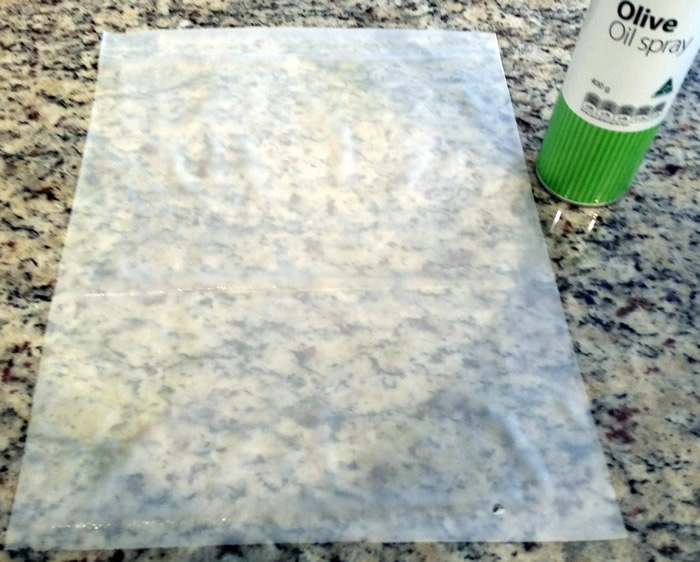 Spray each parcel with olive oil and put on a baking tray or trays lined with baking paper. 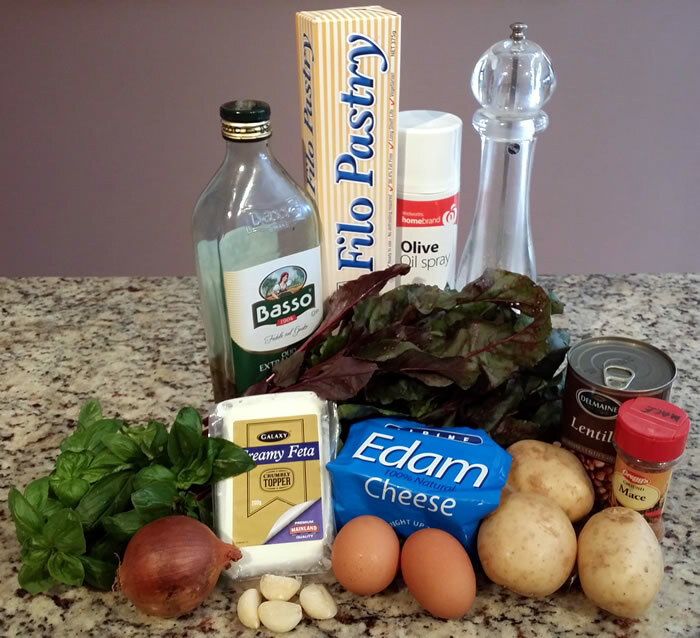 Serve immediately garnished with basil and with a dollop of sauce.